BULACAN, PHILIPPINES- It’s the 24th of October, 2015! TAMANG PANAHON NA!Starting really early in the morning, a lot of people went to the Philippine Arena just to ready themselves to watch “Ang Tamang Panahon” the most awaited Noontime show by Eat Bulaga. It is estimated that more than 55,000 AlDub Nation Followers had come over to the arena and watched ‘Tamang Panahon’ live. . 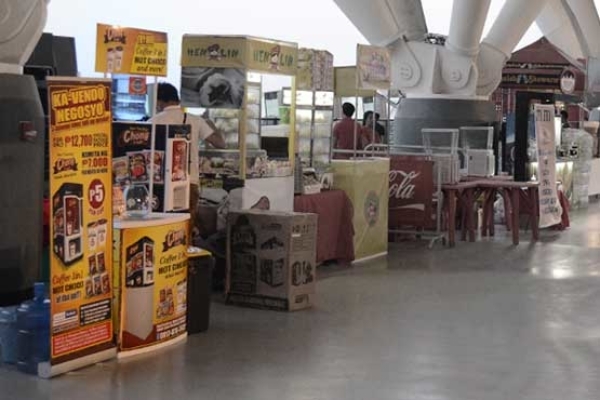 The Chong Café team set up vending machines in various locations inside the Philippine Arena, and it did not take too long at all for long lines of people to start building up in each vending machine to have a cup of Chong Café Hot Choco, Coffee 3 in 1 and Caramel Macchiato. This concert has featured the Love story of the amazing love team of Maine Mendoza and Alden Richards, popularly known as AlDub. One could really hear the loud “KILIG” shouts of the people. It was also nice of the organizers to declare that the proceeds of this concert will be for the construction of AlDub Library Schools Nationwide. One of the beneficiaries were the indigenous people of Mindanao or “Lumads”. The “AlDub, Ang Tamang Panahon Concert” was indeed a very well-attended show, making history in the Philippine Arena and at its Noon Time show. It even broke records in social media, from Facebook Engagements to Twitter Followers. Long Live The Love of Al Dub 🙂.